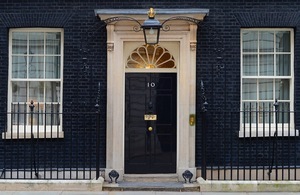 A new ministerial group will continue the work the government has been doing in providing support to victims of terrorist attacks in Tunisia. The group will also develop options for the memorial to the victims of the attacks in Tunisia. Baroness Newlove, the Victims’ Commissioner for England and Wales, will work with the new Tunisia Families Taskforce established by the Prime Minister to ensure that the families of those killed, the injured and all those affected by the Tunisian attacks receive the long-term support they need from the government. Foreign Office minister Tobias Ellwood will chair the group’s first meeting on Wednesday next week, continuing the work he and his department have already done in supporting the victims and their families. Mr Ellwood will be supported by 7 ministers from a number of government departments – including the Department for Culture, Media and Sport and the Department of Health – and Baroness Newlove, who was appointed as the Victims’ Commissioner in March 2013. Her role sees her promote the interests of victims and witnesses and encourage good practice in their treatment. I am honoured that the Prime Minister has asked me to lead the important work of this Committee. I have already met many of the families affected by the Tunisia attack who face the long journey of trying to heal and move forward. This cross-government committee will ensure that those affected by this heinous attack can access all the necessary support they need. The aftermath of the Tunisia massacre has left seriously injured, traumatised victims and their families grieving for those who are no longer with them. There needs to be a package of arrangements to provide practical and emotional support to them. There is no one-size-fits all answer, the needs of each victim will be different and I want to see they all receive the help and support needed for as long as they need it. The ministerial group will be supported by a cross-government team with expertise and experience in providing the support people need after traumatic incidents.